You’ll weather wintry conditions in comfort when you’re zipped in our Boulder parka. 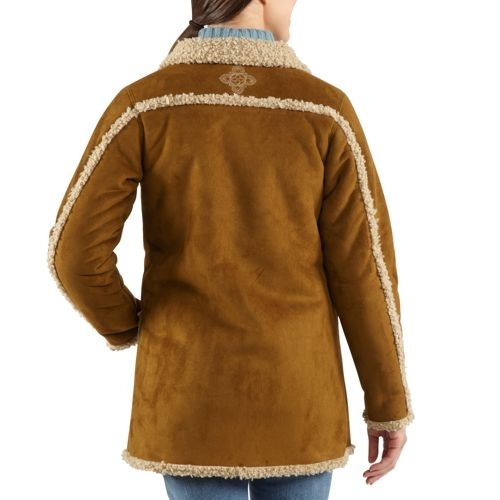 It’s built for warmth with a 21.5-ounce, 100% acrylic shell with 100% polyester sherpa-backed faux shearling. 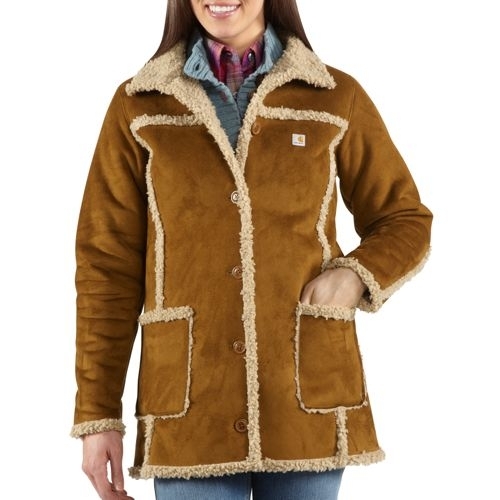 Well detailed, it features Carhartt logo script buttons plus embroidered detail on the center back yoke and exposed sherpa seams. Two lower-front patch pockets are ideal for keys and more. ALL CARHARTT PURCHASES OVER $45.00 SHIPS FREE WHEN PURCHASED ON OUR WEBSITE!